How Do I Find More Deals in Real Estate Investing? Learn Tips Here! How Do I Find More Deals in Real Estate Investing? 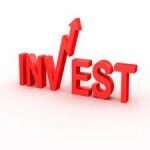 Question: How do I find more deals in real estate investing? 1. Why does somebody want to sell; what are they looking for? 2. What problems do you have to solve? 3. What are your proposed terms for negotiations? You must think and act like a professional in order to find a great real estate deal. First, you should know that residential properties are valued differently from commercial properties. For instance, you will make more money from multiplexes than single family homes. Leases on single family homes are also longer on average than those on multiplexes. In general, a multiplex commands a higher cash flow than a single family home. First of all, you should know specifics about things on your end. For instance, you need to know how much you can afford to pay, who the key players in the negotiation process are, your perceived profit you would make on the deal, the number of tenants occupying the property already, how much rent they pay, and any other questions that need to be answered. A residential real estate professional recognizes a good deal very fast. But how do they do it? The secret lies in their exit strategy. A good RE deal is one from which you can walk out easily when things are not working according to your plans. A keener look at damages that require repairs and the overall risk is a good start. Use the financial calculator to know if and when your financial goals will be met. 1. Capitalization rate- it is used to calculate the net value of income generated from the property. It estimates the Net Present Value of future cash flows or profits, a process better referred to as capitalization of earnings. 2. Cash on cash- this is a formula used by residential real estate investors in comparing the performance of their properties to others after the first year. This formula takes into account the fact that an investor does not necessarily require all 100 percent of cash in order to buy the property in question because some of the cash will be used to make mortgage repayments. In order to uncover the cash level, the RE investor must first determine the initial investment required to purchase the property. 3. Net operating income- it is determined by valuing the property’s gross operating income of the first year and then deducting all the operating expenses incurred during the first year. The RE residential deal is worthwhile if the net operating income is positive. The motive behind selling helps you to find a desperate seller who can throw away below the market value. If the seller isn’t willing to negotiate the price then they are not motivated enough to sell quickly. This, in a way, should be a red flag. Assume that you are the tenant in that residential property and the things you will need around you. If the property is located closer to social amenities like schools, shopping centers, a city, and highways, then the property will not only be in higher demand, but it will also mean more profit. You ought to be very diligent when searching for residential properties for sale in the market. The three most recommended searches are the internet, hiring bird dogs, and local classified ads. A real estate bird dog will help you find a great deal in exchange for a small fee.